Time flies by… The first month of the new year is already behind us, and with February just around the corner, it’s time for some fresh inspiration. So how about some wallpapers to tickle your ideas? Wallpapers that are a bit more distinctive as the ones you usually find out there? Well, we’ve got you covered. As every month since more than nine years already, artists and designers from across the globe once again fired up their favorite illustration tools and got out their paint brushes and cameras to create charming desktop wallpapers that are sure to breathe some fresh life into your desktop. (This is a sponsored article.) What is a product? Until recently, the term was used only in relation to something material and often found in a retail store. Nowadays, it is coming to mean digital products as well. Apps and websites are modern products. There are, of course, lots of people, companies, and projects that have tried to address RESTs shortcomings over the years: HAL, Swagger/OpenAPI, OData JSON API and dozens of other smaller or internal projects have all sought to bring order to the spec-less world of REST. 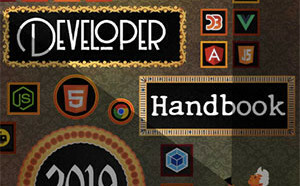 The past years have been remarkable for web technologies. Our code has become modular, clean and well-defined. Our tooling for build processes and audits and testing and maintenance has never been so powerful. Our design process is systematic and efficient. Our interfaces are smooth and responsive, with a sprinkle of beautiful transitions and animations here and there. And after so many years, accessibility and performance have finally become established, well-recognized pillars of user experience. Manually clicking through different browsers as they run your development code, either locally or remotely, is a quick way to validate that code. It allows you to visually inspect that things are as you intended them to be from a layout and functionality point of view. However, it’s not a solution for testing the full breadth of your site’s code base on the assortment of browsers and device types available to your customers. Over the years of being a web developer with a focus on accessibility, I have mostly dealt with widely-adopted, standardized UI components, well supported by assistive technologies (AT). For these types of widgets, there are concise ARIA authoring practices as well as great tools like axe-core that can be used to test web components for accessibility issues. Creating less common widgets, especially those that have no widely-adopted conventions for user interaction can be very tricky. Active Theory’s new website is out of-this-worldish awesome. Our pick this week. In case you missed it: James Sinclair shows how to write good React and Redux code, but explains first why you’d actually want to use it. Kaelan Cooter writes about the ECMAScript proposal process and showcases some proposals that didn’t become part of the language. In these 12 interactive screencasts you’ll learn everything about CSS Flexbox. By Per Harald Borgen. Collective #385 was written by Pedro Botelho and published on Codrops.